The best ski racers in the world will come to Beaver Creek this November to put on historical performances and etch their names forever into the lore of the legendary Xfinity Birds of Prey Audi FIS Ski World Cup. Downhill training is scheduled to take place Nov. 27-29, with racing beginning with the super G Nov. 30, downhill Dec. 1, and giant slalom Dec. 2. Pre- and post-race, in Beaver Creek Village base area, family-friendly fun+games, concerts, drink specials, and a ton of adventure await as event organizers the Vail Valley Foundation and Beaver Creek Resort Company prepare for four days of festivities designed to pair perfectly with the on-mountain action. It’s a lot to absorb, so let’s jump right in: here’s a look at everything planned for what’s known as ‘Birds of Prey Way’ in the heart of Beaver Creek Village from Nov. 29-Dec. 2. Throughout the weekend, kid’s games, events, skating (FREE from 3-5 p.m. on Friday and Saturday) and prizes await in the safe and friendly atmosphere of the beautiful Beaver Creek Village. During the races, kids can enjoy the YouthPower365 Kids Zone, presented by TIAA Bank, then join the fun in the Village. Learn more at bcworldcup.com. 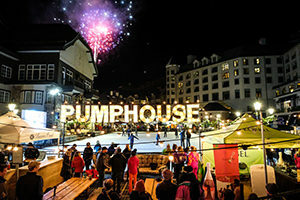 Throughout the weekend, enjoy the Pumphouse Bar located in the center of Beaver Creek near the ice rink, serving offerings from Pacifico, Tincup, Stranahan’s, Wild Tonic, Korbel, Robert Mondavi, and Svedka. Pumphouse Bar will be offering drink specials all weekend long to Epic Pass holders when they ‘Flash their Pass’. On Friday, Eagle County ID holders will also receive $1 off drinks when they present their ID at the bar. Thursday, Nov. 29, 4-7 p.m.
Todays’ ski racers are performing better than ever before, but nothing can top the peak of style that overtook the sport (and the world) in the 1980s. 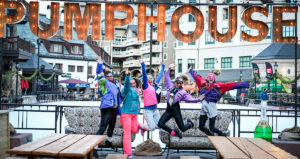 Race fans (and ski fans in general) can welcome the races in style by dressing up in ’80s ski gear and jamming to the live ’80s cover tunes from “The Goonies” on the Tincup Music Stage. Six-time Birds of Prey giant slalom winner Ted Ligety is on tap to come by the event for a special appearance during the party, courtesy of GoPro. Giveaways, drink specials, and more, are also part of the program. Nothing brings the Eagle County community together quite like ski racing. In appreciation of more than 50 years of support, volunteerism, and passion for international ski racing, the Vail Valley Foundation and event organizers have dubbed Friday, Nov. 30 as ‘Locals’ day at the races’. Flash your Eagle County ID for $1 off drinks at the Pumphouse bar. The Monophonics have become one of the Bay Area’s hottest bands – but ski racing fans can hear them up close, and for FREE from 3 – 6 p.m. after the races live from the Tincup Music Stage near the ice rink in Beaver Creek Village. Soulful rock, rock-full soul, either way you slice it, the Monophonics bring a big, big sound with a talented 6-piece band. Friday, Nov. 30, 4-5 p.m.
They’re here, they’re heroes, and they’re just as excited to meet their fans as fans are to meet them! Always a big hit, arrive early to get in line, meet U.S. 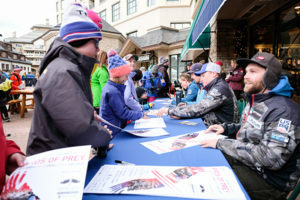 Ski Team athletes, and have them sign your favorite posters or gear from 4-5 p.m. at Gorsuch in Beaver Creek Village. Friday, Nov. 30, 5:45-6:15 p.m.
One thing about the men of the Audi FIS Ski World Cup – they look just as good up close as they do speeding down the course. Friday night, fans will have a chance to lay eyes on the best in the world when the super G formal awards are given out right in the heart of Beaver Creek Village Friday night on the Tincup Music Stage. Then, the world-famous (and extremely cute) Mountain Safety dogs (and possibly one puppy!) of Beaver Creek Ski Patrol will assist in the following day’s downhill bib draw, where the top-10-ranked skiers in the world will find out, live and in person, what order they will race in the legendary Xfinity Birds of Prey downhill Saturday morning. Friday, Nov. 30, ~6:15 p.m.
After the Awards and Bib Presentation, the Beaver Creek sky will light up with the picturesque fireworks, viewable throughout Beaver Creek. Lorissa has a lot of goodness coming out of the kitchen. Known for their excellent jerkey, Lorissa’s Kitchen is revving up the race audience with free Bloody Mary’s for those 21-and-up ahead of the races on Friday, Saturday, and Sunday – only while supplies last. Visit the Lorissa’s Kitchen booth for more info. From RED Mountain to Switzerland, Chamonix to Portillo, Warren Miller Entertainment’s Face of Winter, will be a visual journey to many of the best skiing locations in the world. At the same time, with the death of Warren Miller this past year, this year’s film will pay homage to the man who practically invented the modern ski movie. Get tickets at vilarpac.org. Saturday, Dec. 1, 1-3 p.m. Raw, gritty, and perfect for a Saturday afternoon post-race event, the Hackensaw Boys will provide perfect accompaniment to the fun, games, prizes, giveaways, and Beers of Prey seasonal tasting also scheduled for Saturday in the village. 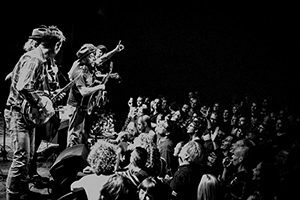 Led by founding member, guitarist and songwriter David Sickmen, The Hackensaw Boys are back on the road with new songs, joined by fans of their 17-year span of making dance-friendly Americana music. Saturday, Dec. 1, 2-6 p.m. Nothing pairs better with the Xfinity Birds of Prey better than Beers of Prey, presented by Ballast Point. 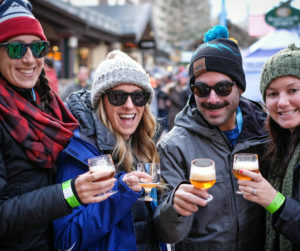 Bring an ID, get your tasting glass, and enjoy rare samples from renowned breweries in Beaver Creek Village. Along with frothy excellence from the servers, enjoy FREE music from Beau Thomas and The Hackensaw Boys during the tasting. Saturday, Dec. 1, 3-6:30 p.m.
Join the Liv Sotheby’s International Realty Team for Saturday Après. Activities in Beaver Creek Village continue until 3 p.m. on Sunday, during and after the giant slalom races.